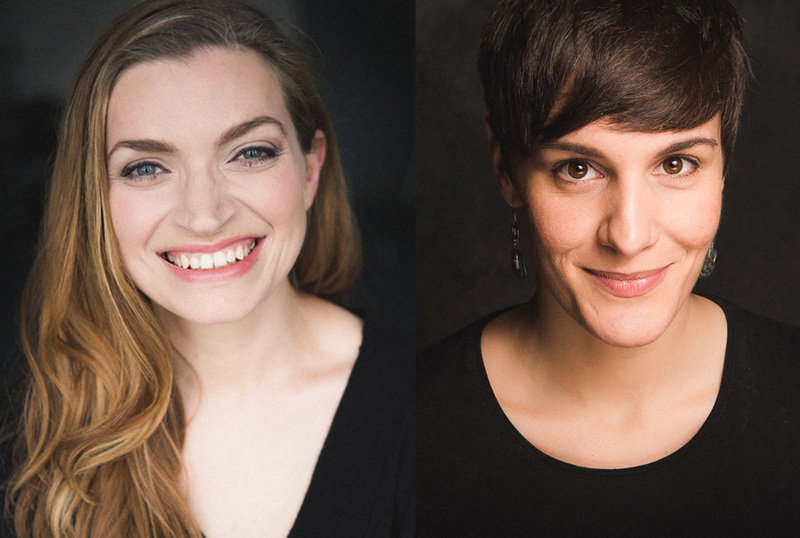 FIREBRAND THEATRE To Launch in Chicago – First Women-Focused Musical Theatre Company! Harmony France and Danni Smith, Co-Artistic Directors, are pleased to announce the launch of FIREBRAND THEATRE, the first musical theatre company committed to employing and empowering women by expanding opportunities on and off the stage. The company will focus on equal representation of women and men by seeking out female talent in all aspects of production, from the crew, to the artistic team, to the actors on stage. FIREBRAND THEATRE’s productions will expand the traditional roles of women in musical theatre by reimagining classics, producing unknown gems and commissioning new works. Chicago’s newest Equity company will present its first production in March 2017, with a full season to be announced shortly. In the coming months, FIREBRAND will focus on fundraising, including an Indiegogo campaign and a Firebrand Launch Party benefit on Sunday, March 27 at Underground Lounge, featuring live musical performances by some of Chicago’s most celebrated artists. For additional information on FIREBRAND, visit firebrandtheatre.org. Comments Co-Artistic Director Harmony France, “When Danni and I first had the idea to create Firebrand, I searched online for musical theatre companies with like-minded missions. I found nothing. That brought it home how crucial it is that we launch this company. There is a void in our industry, with more actresses than actors, yet fewer roles for women. There are also statistically more women than men in our audiences. Yet, most musicals are directed by men, cast with mostly men, with stories about men. Not only do we feel a moral obligation to illuminate female artists in roles that empower them, but also a need to tailor productions to the largest demographic of theatergoers. Featuring: Rashada Dawan, Bethany Thomas, Steven Perkins, Danni Smith, Missy Aguilar, Sydney Charles, Jasondra Johnson, Lili-Anne Brown, Amanda Horvath, Angela Alise, Christina Hall, Khaki Pixley, Annie Passanisi Ruggles and Melissa Young. Tickets: $20 suggested donation. Available at the door. Danni Smith (Co-Artistic Director) is a Chicago based actor for the last ten years. She has been honored with four Jeff Awards and seven nominations. Credits include work with Paramount Theatre, Marriott Theatre, American Theater Company, Chicago Children’s Theatre, Drury Lane Oakbrook, Porchlight Music Theatre, Theo Ubique Cabaret Theatre, Bailiwick Chicago, Bohemian Theatre Ensemble, Waltzing Mechanics, Illinois Shakespeare Festival and Lakeside Shakespeare. Danni grew up performing with Junior Civic Theater in her hometown of Logansport, Indiana and was honored by the organization for her volunteer service as a director. Danni is a proud graduate of Ball State University’s musical theatre program. Harmony France (Co-Artistic Director) is the founding Artistic Director of Blue Moon Studio Theater, Casting Director at Bailiwick Chicago and a teaching artist at Actor’s Training Center. As an actor, she has traveled the world with the Broadway National/International tour of Sister Act. She has been nominated for two Jeff Awards for best actress and is the recipient of a Broadway World Award. Harmony has worked with Paramount Theatre, Peninsula Players, Theatre at the Center, Bailiwick Chicago, Porchlight Music Theatre, Bohemian Theatre Ensemble, Profiles Theatre, Windy City Playhouse, The New Colony, Route 66 and City Lit Theatre, She studied opera at Brenau University and acting at Columbia College. FIREBRAND THEATRE is a musical theatre company committed to employing and empowering women by expanding their opportunities on and off the stage.